There are some foods toxic to dogs, but otherwise perfectly safe and loved by us humans. It’s often hard to resist those large dreamy eyes expectantly staring into your face as you take a mouthful of a scrumptious chocolate cake, but don’t give into that little dog of yours. It might add pounds to you but it does far worse to your four legged companion. Just what are some of those substances and foods dogs should never eat? If you are interested in learning which plants are toxic to your dog, visit our page on Plants Toxic to Dogs. Love that guacamole? Well, it doesn’t like dogs. Avocados often top the list of foods toxic to dogs. Avocados contain persin, a fungicidal toxin which is normally harmless in a human but can be toxic to dogs. Persin is in the leaves, seeds, bark and fruit of the avocado plant so beware if you happen to have a few growing in your yard. Maybe not the best choice of liquid hydration in people, it is also not good for dogs. Alcohol including beer, liquor, wine and any foods made with alcohol causes the same effect on a dog’s brain and liver as it does in human, but the result is much faster and the speed increases as the dog decreases. 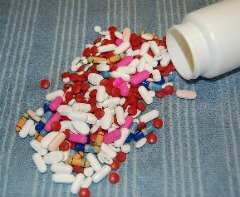 Just small quantities can produce vomiting, diarrhea, depression, coordination problems and even difficulty breathing, coma and death. It might be cute, but it is deadly. 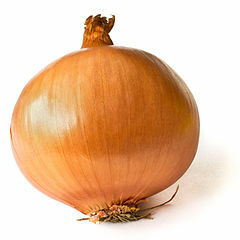 High up on the list of foods toxic to dogs is onions and garlic. Onions are bad, no matter what form they take-raw, cooked, dehydrated or in a powder form – they all can destroy the red blood cells in a dog’s circulatory system, leading to Hemolytic anemia. Even baby food has some onion powder, so beware. We really don’t have a good idea on the quantity that is bad, but the cumulative effect of eating onions is what is problematic. It’s not likely to cause much trouble if eaten in tiny amounts occasionally, but if it is part of a regular diet, can poison the dog over time. Anemia can cause weakness, vomiting, dull coat, anorexia and breathing difficulties. Kidney damage may follow. Garlic is one of those controversial foods. One camp says that dogs should not eat any garlic and the other camp thinks garlic is good for dogs. Very few dogs like the taste of black coffee, but add some sweetener and flavoring you’re your little guy might just like a sip or two. 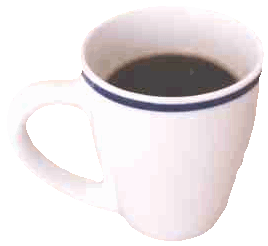 But caffeine in any form whether it is from coffee, tea or sodas can be fatal if consumed in large enough quantities. Symptoms can include heart palpitations, fits, muscle tremors, restlessness and even bleeding. Caffeine can also be found in some medications and chocolate, another major No No for dogs. 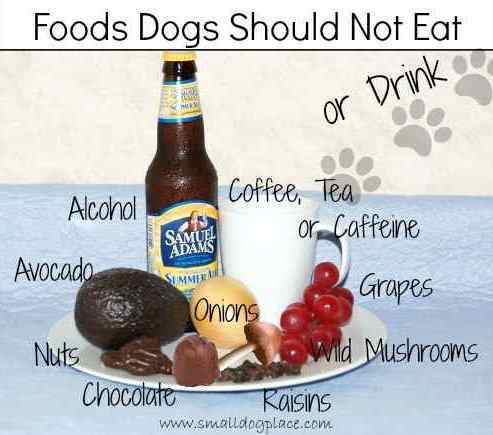 Grapes and raisins are two foods toxic to dogs and currants can be added to this category as well. 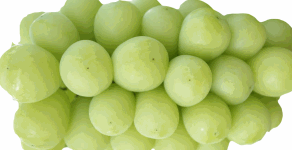 Both grapes and raisins can cause irreversible kidney damage and even death. Even a very small amount such as 4 or 5 grapes or raisins can make a 20 pound dog very sick. Vomiting, lethargy, loss of appetite, abdominal pain, coordination problems decreased amount of urine production and depression are symptoms. While symptoms usually occur within 24 hours, they can start in just a few hours after the dog has ingested the grapes or raisins. Who hasn’t been guilty of giving a dog a little taste of ice cream or other dairy products? Dogs do not tolerate cow’s milk as well as people and anything made with milk such as cheeses, yogurt or plain milk can have the potential to cause digestive upset, usually in the form of diarrhea. A teaspoon now and again is not going to hurt them. If your dog is intolerant to cow’s milk, goats milk is a good alternative and products made with goats milk seem to be tolerated better in dogs. Dogs on a complete and balanced commercial diet should not need additional calcium in their diet with the exception of lactating mothers. 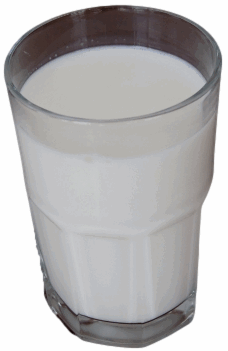 Goat's milk is the safest product to give to young puppies and lactating mothers. Another group of foods toxic to dogs is nuts. Dogs should not eat nuts, but macadamia nuts seem to be the worse culprit for making dogs ill and death is not out of the question. Even a few roasted or raw macadamia nuts can cause muscle tremors, weakness or paralysis, vomiting, fever and rapid heart rate. When chocolate is mixed with the nuts, the symptoms worsen. Symptoms often show up within 6 to 24 hours. To be absolutely safe, Dogs should not be given nuts to eat. Nuts that should be added to the list of foods toxic to dogs include: Almonds, Pistachios, Pecans, Walnuts and Hickory Nuts. They vary in the harm they do to the dog. 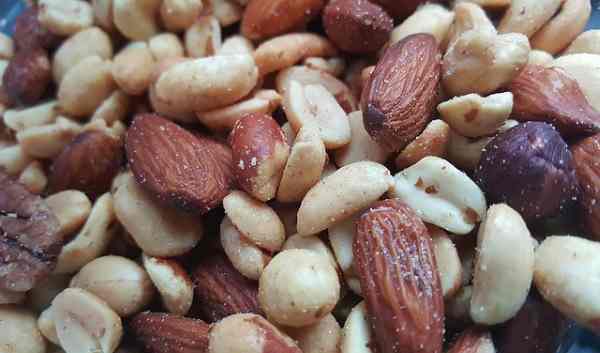 Moldy nuts are toxic while the fresher version of the nut just makes your dog sick. Dogs seem to love the taste of almonds, but they are not well digested giving your dog and upset stomach. Pistachios have a high fat content and can cause stomach upset as well. Dogs that eat pistachio nuts over a period of time can also develop pancreatitis. 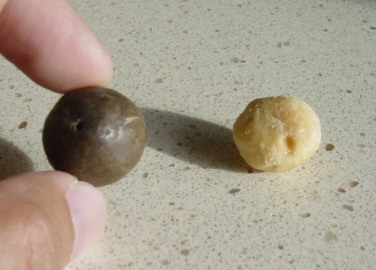 Black Walnuts are known to cause stomach distress and even obstructions if swallowed whole. But if a dog gets a moldy black walnut, that’s another story. Moldy black walnuts contain toxins produced by a fungus which leads to lethargy, vomiting and loss of muscle control. Like black walnuts, English and Japanese walnuts can cause intestinal upset resulting in a stomach ache, vomiting or even an obstruction. Just like black walnuts, English and Japanese walnuts that contain a mold that releases a tremorgenic mycotoxin which the dog ingests causing muscle tremors or seizures. Hickory nuts and pecans both follow the same patterns as walnuts. Fresh hickory nuts will cause a tummy ache while moldy nuts can be affected with the tremorgenic mycotoxin. Most people know that chocolate is bad for dogs but did you know that even white chocolate can cause symptoms and dark chocolate and unsweetened baking chocolate is the most dangerous. A 20 pound dog can be poisoned on 2 ounces of baking chocolate, but it would take 20 ounces of milk chocolate to cause harm. 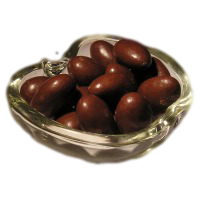 The toxic agent in chocolate is Theobromine. Chocolate can cause vomiting diarrhea and increased thirst, tremors, seizures, abnormal heart rhythm, coma and death. Included in this section of foods toxic to dogs is not so much the food, but rather the seed. 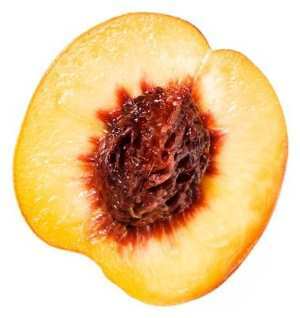 The problem is not so much with the fruit, but with the seeds or pits. Many small dogs will eat the pit which contains cyanide which is a known poison to both dogs and people. If that doesn’t hurt them, intestinal obstruction is a real possibility. Persimmons, Peaches, and Plums Seeds or Pits. Don’t let a dog eat apple seeds or cherry pits as they can wreak havoc giving your dog an upset stomach and possible cyanide poisoning. Dogs can eat apples and most love them as a very special treat, but don’t know not to eat the seeds. If you do serve these apples, core them as you would a small child. Dogs seem to love eggs, but cook them first if you intend to serve them. There are two problems with giving your dog raw eggs. The first is the possibility of food poisoning from bacteria like Salmonella or E. coli which is why raw eggs makes the list of foods toxic to dogs. 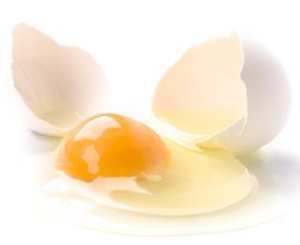 The second is that an enzyme in raw eggs interferes with the absorption of a particular B vitamin. This can cause skin problems as well as problems with your dog's coat if raw eggs are fed for a long time. If you make your own bread, be sure to allow the bread to rise in a place where the dog cannot reach it. If a dog eats the dough as it is rising, it will continue to rise in his little stomach. You can just imagine what happens next -- as the dough rises, it stretches the stomach wall causing severe pain. Beyond that, the yeast which makes the dough rise begins to ferment in the stomach which can lead to alcohol poisoning. This odd sounding chemical is the sweetener often found in toothpastes, mouthwashes, some medicines and sugarless gum. You can also find it in many baked goods and that is why this common ingredient makes the list of foods toxic to dogs. While being recommended for human diabetics, it is definitely not recommended for dogs. Xylitol causes a rapid rise in insulin levels which leads to hypoglycemia. Symptoms in dogs can range from vomiting, lethargy and poor coordination to seizers possibly leading to liver failure. Wild mushrooms — those that grow in your backyard or along a trail can be dangerous not only to you but to your dog. People know not to sample them, but dogs can be curious. Toxins in the mushroom can create havoc with many different organs including the liver, kidneys and brain. Symptoms include vomiting, seizers, coma, and even death. 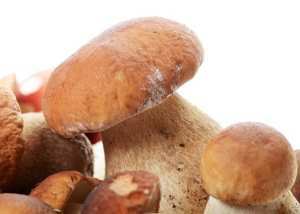 So check your yard periodically and remove any mushroom looking plants. Dogs love fat and bones, but fat trimmings are not good for you and not good for your dog. Here I am referring to the cooked or uncooked fat trimmed from meat that the humans did not want. Too much leads to pancreatitis. Bones are different. Cooked bones are the most dangerous. They can break or splinter as the dog gnaws on them causing the dog to choke or create lacerations in the digestive wall and even obstructions. Fish bones are especially problematic. There does not seem to be this type of problem with uncooked bones and so uncooked bones have become a part of a raw diet. When dogs ingest large quantities of salt, it leads to excessive thirst and subsequent urination. This usually happens when a dog gets too many salty foods. It the salt intake is large enough, sodium ion poisoning occurs. Symptoms include vomiting, diarrhea, depression, tremors, fever, seizures and even death. Think twice about allowing your dog to help themselves to those salty treats. So when you sneak your tiny dog into the movie theater, don’t let them eat all your popcorn! It is tempting to give our fur children the same medicine we give our human babies, but before you do so, make sure it is not toxic to dogs. There are some human medicines that are fine for dogs, but not all of them and some can be very dangerous. Human vitamins that contain iron can damage the wall of the stomach and intestines and be toxic to the liver and kidneys. OK, OK, vitamin pills are not food, but some might argue that statement. 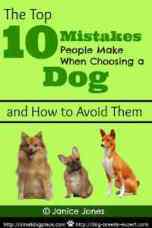 I added this to the list of foods toxic to dogs, just to see if you would catch my mistake! 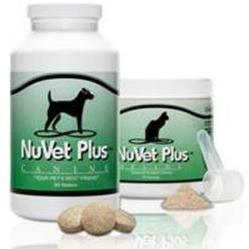 More on Human Medicine You Can Give To Dogs. Prevention is easier than the cure and much less costly. Know that you are familiar with the foods toxic to dogs, you will be less likely to allow your small dog to come into contact with those dangerous substances. Things happen often very quickly. What do you do if you suspect that your dog has consumed a substance or food likely to be toxic? Keep the phone numbers of your veterinarian and 24 hour emergency veterinary hospital handy and make a call as soon as you discover what has happened.